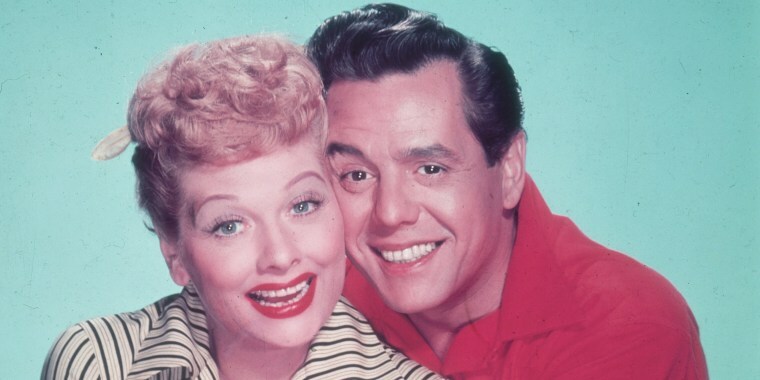 The story, which had been posted here, about a property where Lucille Ball and Desi Arnaz had reportedly lived has been removed. Ball and Arnaz did not live there. We regret the error. Do you love Lucy? Then you’ll probably also love this chic, vintage California home. Stars of the legendary sitcom “I Love Lucy,” Lucille Ball and Desi Arnaz, once lived in this 2,400-square-foot property located in Indian Wells, California, in the Coachella Valley. Now, anyone can come and stay! The three-bedroom, three-bathroom vacation home is available for weekly rentals on Vrbo for $500 a night. The house isn’t exactly the same as it was when the famous couple lived there. It’s since been remodeled with modern touches, but we like to think the sleek, midcentury modern decor is how the comedic duo would have updated the home. After you walk through the mint-hued double front doors and shout, “Lucy, I’m home!” you’ll be standing in the open-layout living room and dining area. A cozy stone fireplace anchors the room while floor-to-ceiling glass sliding doors look out onto the gorgeous backyard area. The galley-style kitchen features clean white cabinets with open shelving, along with a shiny gray countertop and stainless steel appliances. We could just see Lucy in there, baking up some bread! Each of the three bedrooms has its own en-suite bathroom with a sunken Roman tub/shower. The bathrooms all have a luxury feel with fun pops of color and playful wallpaper. Outside, you’ll feel like you’re at a retreat with a glistening pool that’s surrounded by lounge chairs and pretty views of palm trees and mountains. There’s also a barbecue pit and outdoor fireplace that are perfect for vacation mode. Want to stay here? Check out the listing at Vrbo.